我開始寫這個部落格的原因，主要是因為我希望向國內外讀者推廣台灣產品和當地小型企業，所以我找到像雪王、蜜朵麗、O Rose等等強調台灣食材的店，覺得很開心! 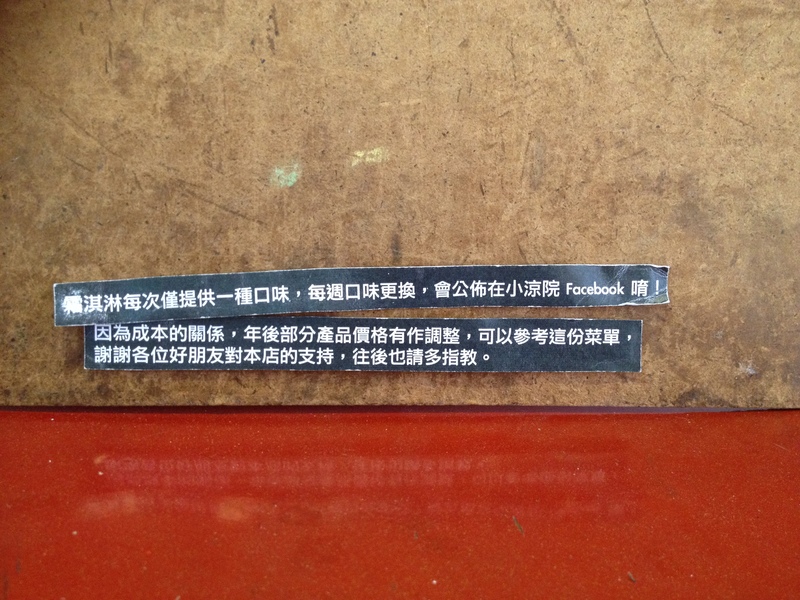 當我發現松山區有一家台灣頂級水果專賣小店，「陳記百果園」，我特別期待去試試看。作為水果專家的「陳記百果園」，當然懂得怎樣把水果最好的一面顯示出來 — 就是把它做成冰淇淋喔! One of the reasons I started this blog was to promote local products and small businesses to both Taiwanese and foreign audiences. I’m always pleased to find ice cream shops like Snow King, Midori and O Rose that emphasize Taiwanese products. 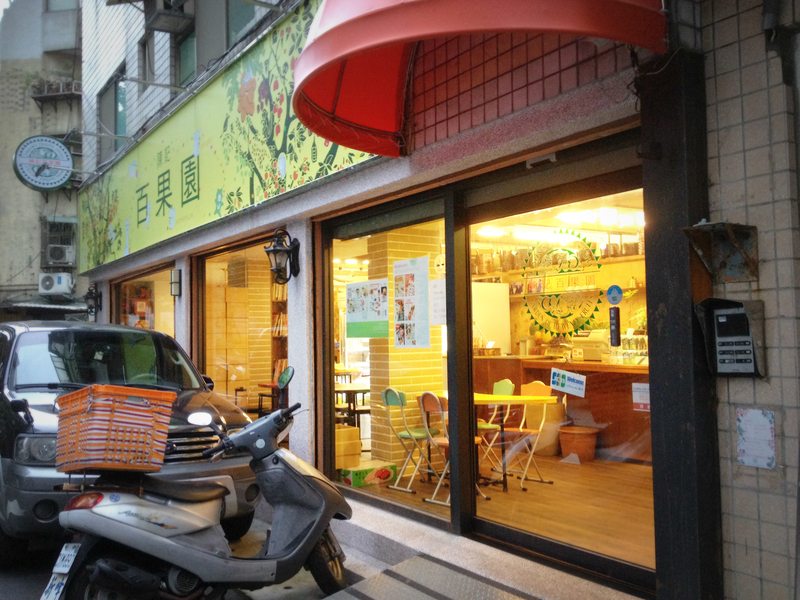 I was especially excited to try Jason’s Fruits Store, a cute little shop in Songshan that specializes in Taiwanese fruits. 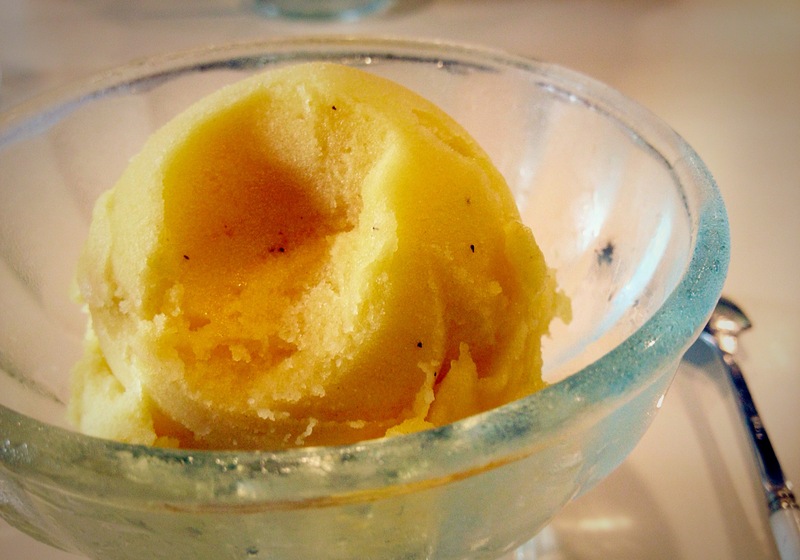 Like any fruit experts, they know how to show their product in its best light — by making it into delicious, fresh ice cream! 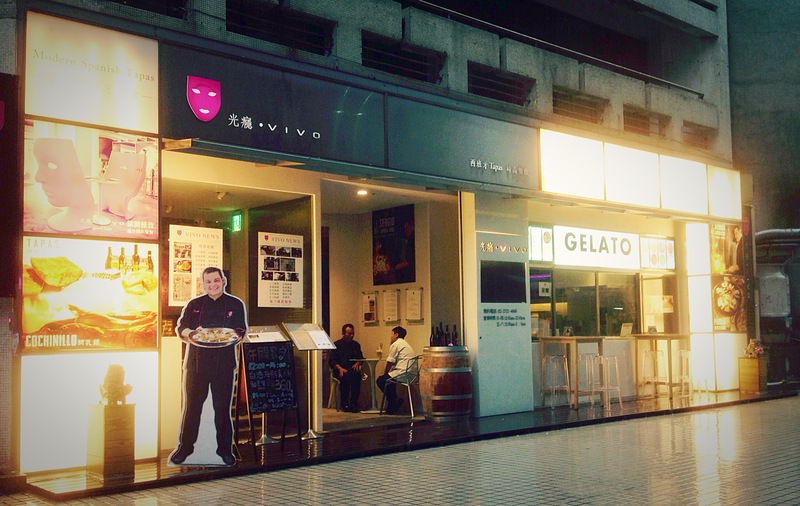 If Boite de Bijou hadn’t been featured in a Taipei Trends roundup of Taipei’s best patios, I’d never have found it. 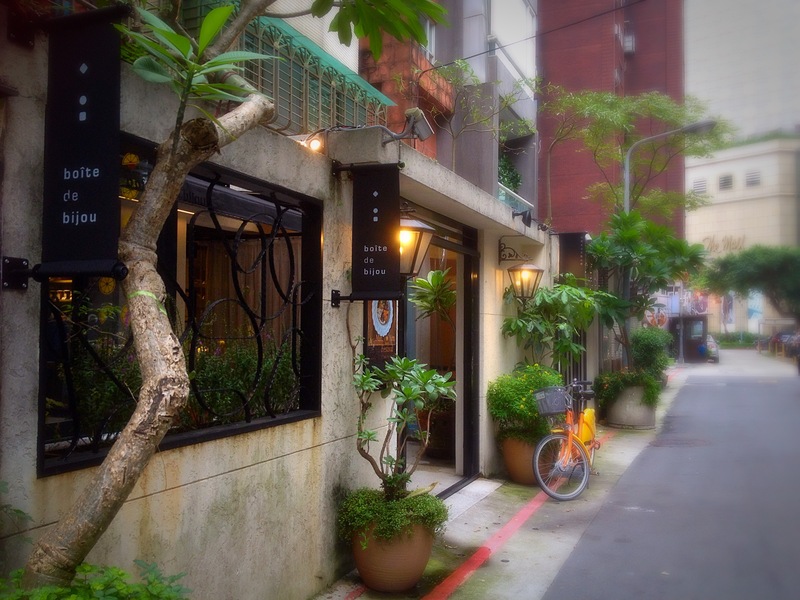 This little treasure is well-hidden on a quiet alley in the trendy, nocturnal Anhe area of Da’an, surrounded by wine bars and izakaya. It’s primarily a luxury French bakery, but besides gorgeous traditional French breads, cookies, pastries and quiches, as well as a coffee bar, premium teas, and a well-curated little wine list, they also offer a small selection of house-made French-style ice cream and sorbet. It’s a popular place for brunch and afternoon tea. To get great handmade ice cream in Taipei, you don’t necessarily have to go searching for obscure hole-in-the-wall shops that specialize exclusively in ice cream – many restaurants make ice cream as a side business. VIVO Spanish Tapas is one of these. A concept restaurant that offers a complete experience VIVO boasts authentic Spanish cuisine (the head chef is a native of Barcelona); an extensive menu that includes brunch, lunch, dinner and imported wines; artistic modern atmosphere with quirky art-deco design; indoor and outdoor seating; a full coffee bar; and, most importantly, an ice cream bar serving a selection of fresh house-made gelatos and sorbets! 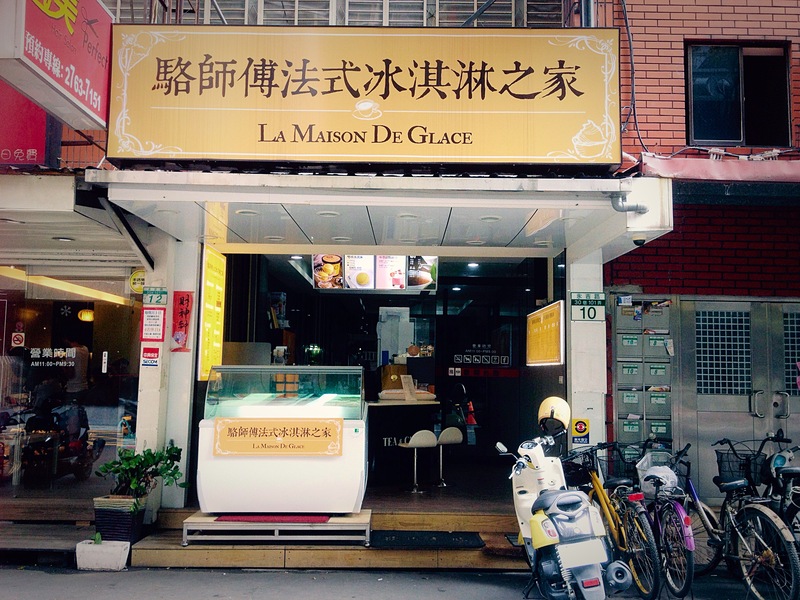 The first time I tried to find La Maison De Glace, I went home hungry – the shop had recently relocated to Xinyi after several years in the Shida night market area, and Google apparently hadn’t got the memo about the new location. But the promise of flavour-rich French-style ice cream made by an award-winning ice cream master compelled me to try again, and this time I found it! Jung Yard Softee is a tiny, low-profile shop specializing in handmade gourmet soft-serve. It’s so obscure that if a reader hadn’t recommended it to me, I’d never have found it!